The scent of melaleuca oil — more commonly known as tea tree oil — is unmistakeable. This natural remedy has been used for centuries, treating a wide range of ailments. Based on its many medicinal properties, including antibacterial and antiviral effects, this potent oil should be one of your go-to natural remedies. Melaleuca oil is an essential oil that is often viewed as a cure-all topical solution. Meaning it has magical effects, but you should not be ingesting this oil. Made from the leaves of the tea tree plant, the oil has been used throughout history because of its unique and widespread healing abilities. If you haven’t already invested in a bottle of tea tree oil, here are nine reasons why you should. Although we tend to view acne as a nuisance, often surfacing at the most inopportune times, acne is nothing more than a slight bacterial infection within your sebaceous glands. When applying 100 percent pure raw tea tree oil, you can actually promote more rapid healing. Based on tea tree oil’s antifungal and antiseptic properties, it can prevent acne by destroying the bacteria on the surface of your skin. Once an outbreak occurs, this oil can penetrate deep into your pores, disinfecting blocked glands. Blemishes dry out more quickly, and oil production is then more easily controlled. The simplest way to apply tea tree oil for acne is by administering a few drops to a clean cotton pad in order to target problematic areas. If you suffer from sensitive skin, dilute with aloe vera and benefit from the aloe vera’s soothing and anti-inflammatory properties. The same is true with honey, as it’s also a natural antibacterial. We’ve all been there — we touch a pan that we forgot was previously in the oven, only to feel an instant burning sensation. Of course, whenever you suffer from a burn, immediately run the affected area under cold water. Once you have cooled the area completely, apply tea tree oil one to three times daily. As mentioned, aloe is a great solution for soothing a cut or burn, however, it won’t prevent the area from becoming infected. If you find that the burn is too sensitive to touch, apply a few drops of melaleuca to a bandage and wrap the affected area. It will promote more rapid healing and reduce your risk of infection. Whether you trekked through poison ivy or are suffering from prickly heat, tea tree oil helps reduce the severity of your blisters and promotes healing. Based on its antiseptic and antifungal properties, tea tree oil reduces your risk of infection and dries out blisters without provoking itchiness. In fact, tea tree oil soothes the itch, reducing your desire to scratch and break open the surface of your skin. It’s worth noting that some individuals have a sensitivity to tea tree oil, so if you are prone to rashes, always try a spot test first. If you do appear to be sensitive, you may be able to dilute two to three drops in coconut oil and apply every three to four hours. Dandruff is essentially a sign that your scalp is dry or that your natural skin renewal cycle has sped up. In turn, patches of dead skin begin to form on the surface of the scalp. In some cases, a type of fungus is the direct cause, resulting in an accelerated production of skin. Tea tree oil is, of course, an antifungal that targets and kills the bacteria that often causes dandruff. When applied to the scalp, it also penetrates the hair follicles, targeting potential microorganisms that may trigger dandruff. To apply, mix a few drops into a carrier oil of your choice, then rub onto your scalp and wait a few hours before washing. Warts are simply benign growths of skin that vary in appearance, often developing on hands and feet. Caused by a virus within the HPV family, warts are highly contagious. Since this essential oil is both antiviral and antibacterial, it will help you naturally battle the virus that caused the wart to grow. In fact, tea tree oil contains terpenoids, which specifically target viruses. If you are sensitive, dilute tea tree oil in water and apply twice daily. You can also add this oil to a bandage and leave it on overnight. Once applied, tea tree oil helps to dry out the surrounding area, reducing blood supply to the wart itself. The skin cells of the wart will die and the root cause will be treated — the virus. Ear infections may develop based on a range of causes, including bacteria, a virus or excess fluid. Antibiotics are generally prescribed, which unfortunately kill good bacteria in the body as well. When applying tea tree oil, you will naturally kill the bacteria that has caused the infection. Since pain is often associated with these infections, tea tree oil’s anti-inflammatory effects can help reduce the irritation and discomfort resulting from inflammation. There are a number of ways to administer tea tree oil for this purpose. The easiest is to combine approximately 1/3 cup of warm water with two to three drops of tea tree oil. Apply the solution to your ears via a dropper, allowing each side to rest for four to five minutes before flipping over onto a towel. Continue this process three times daily until you experience relief — a minimum of three days is recommended. If you have experienced a toothache, you know that the throbbing pain can be both sharp and extreme. More often than not, a toothache is caused by bacteria that has penetrated the tissue in your tooth, resulting in inflammation. Meaning, if you remove the bacteria, the pain will generally subside. Simply add a couple of drops to a glass and fill with water. Swish the mixture in your mouth and then spit it out. Be careful not to swallow. Continue this process until the cup is empty and then repeat once more. If the pain is severe, also include one drop of clove essential oil. When suffering from conditions such as colds, flus, coughs and even bronchitis, steam inhalation and the use of a diffuser is an effective way to benefit from an essential oil. Acting as an effective expectorant, tea tree oil helps the body to naturally expel mucous. The antibacterial and antiviral properties of melaleuca will help reduce inflammation in the lungs, eliminating problematic symptoms. Bronchitis, which can be caused by a virus or bacteria, can also be effectively treated with tea tree oil. You can place a few drops of oil onto a clean towel and slowly inhale the vapors. Similarly, add a few drops to a bowl of boiling water and breathe the vapors that way. Creating a tent with a towel over a steam vaporizer is just as effective. You can also dilute tea tree oil with coconut or almond oil and apply directly to your chest. When you have been bitten by an insect, you often experience inflammation, swelling and itching. Tea tree oil disinfects the area, reducing your risk of further complications. If the wound is open, dilute with a carrier oil of your choice. Since tea tree oil is a natural insecticide, it’s highly effective against head lice and mosquitos as well. Whether you’re coughing up a lung or trying to soothe a burn, melaleuca — or tea tree oil — is a great natural remedy. 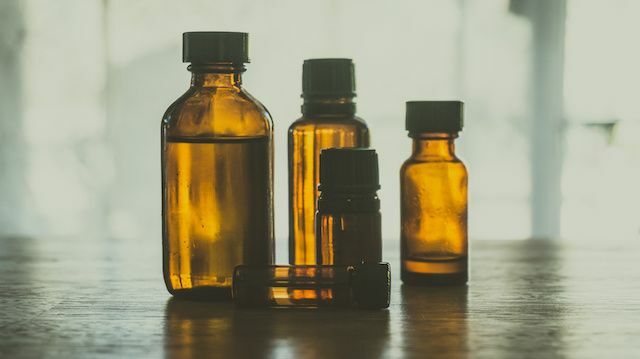 As with all essential oils, when investing in a bottle, ensure that you’re purchasing 100 percent pure organic tea tree oil that is void of any chemicals or additives. Hey Buddy!, I found this information for you: "Remedy an Ear Infection with Tea Tree Oil". Here is the website link: https://www.thealternativedaily.com/benefits-of-tea-tree-oil/. Thank you.